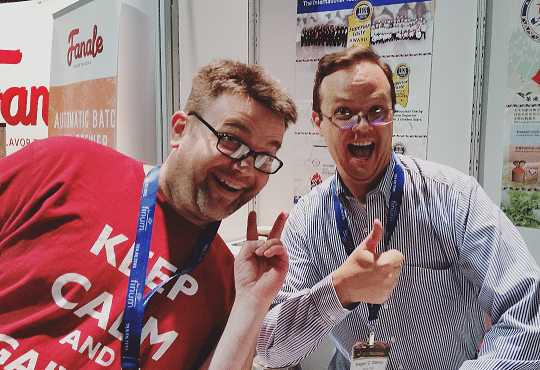 Returning to World Tea Expo this year felt like a scene right out of Return of the King. 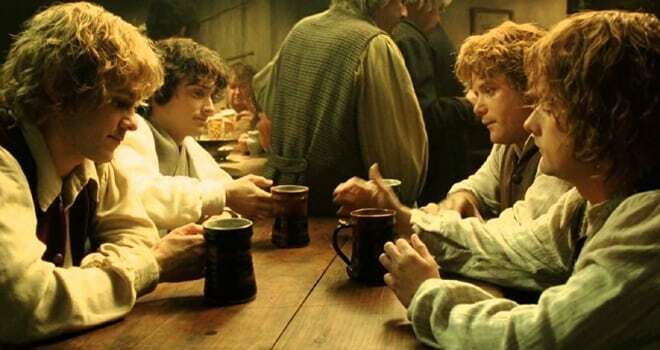 You know the one—where all four battle-weary Hobbits came back. Everything was the same . . . but they weren’t. That’s how the first day of Expo felt to me. This was the first one to be held in Las Vegas since 2013, and it looked like 2013 all over again. However, a lot had happened to me in the ensuing three-to-four years. I was not the same tea drunk Hobbit. Still tea drunk, sure, but more . . . I dunno . . . worldly? No, that’s not the right word. Perhaps I’ll come up with a better descriptor as I write on. The morning of June 15th, I donned the proper uniform. 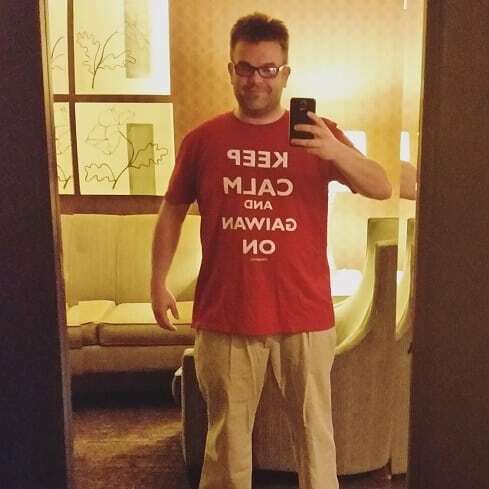 Okay, not proper per se, but definitely appropriate attire. I called for a Lyft pick-up and trekked to the Las Vegas Convention Center. I don’t remember what time it was, exactly. But it felt really early. The first item on the docket was the “Re-Evaluating Tea Education” core panel organized by our li’l blogger group’s de facto “Tea Mom”, Jo “A Gift of Tea” Johnson. A little about Jo: She remains to this day one of the most influential tea consultants in my life. I even based a fictional character after her. To call her a force to be reckoned with would be an understatement. When I came to my first Expo back in 2013, it was she who showed me the ropes. I wouldn’t have had a clue what to do (or where to go) if she hadn’t roped me around. That first Expo, I was like a Labrador in a chew-toy shop. This year? More of a sometimes-well-behaved Weimeraner. But back to her panel. 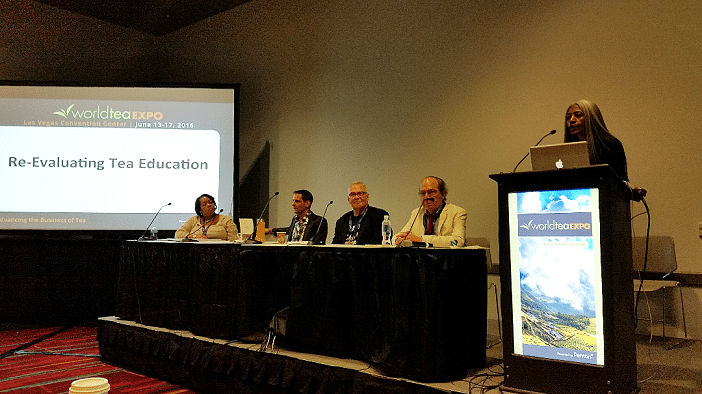 Left to right: Darlene Meyers-Perry, Kevin Gascoyne, Austin Hodge, and James Norwood Pratt. Moderator: Jo Johnson. 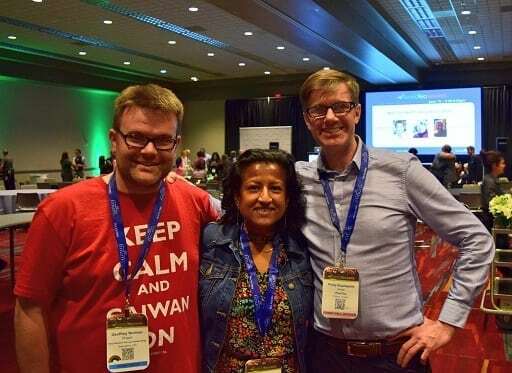 She curated a stellar group of tea professionals: Darlene Meyers-Perry, Kevin Gascoyne, Austin Hodge, and—last but certainly not least—James Norwood Pratt. The subject of the panel was a controversial one. Tea education (and by proxy, certification) was a convoluted mess. Most of the panelists even voiced as much. The revelation that stung some audience members, though, was the admittance from two of the tea shop owners on the panel. That being, certifications don’t matter for squat when being considered for an actual job in a tearoom and/or shop. Sure, there were fancy-schmancy restaurants that hired “tea sommeliers”, but it was an empty title at best. Unlike with the wine world, the tea industry/community lacked a unifying set of core educational standards. This meant that a certification in one group’s “tea school” amounted to the same as an empty currency. Some in the audience . . . didn’t take to kindly to that. One such participant even voiced their malcontent. So seething were those words, I almost stood up and stabbed them with sharpened pieces of my mind. Thankfully, Darlene Meyers-Perry talked them down from dissent with the diplomatic equivalent of a hug and hot cocoa. The points that were broached on both sides were valid, but there was a long way to go before any work could be done on the whole “tea education” subject. Frankly, my idea of valid tea education was trying as much tea as you could and having fun while doing it. But what do I know? I’m not certified. At 1PM that same day, we tea bloggers hosted our affiliated panel—“The Tea Bloggers Roundtable”. Left to right: Ricardo Caicedo, Sara Shacket, Naomi Rosen, Rachel Carter, Nicole Martin, and Linda Gaylard. Moderator: Darlene Meyers-Perry. Photo by Effie Gidakos. It was our fourth year in row putting on our li’l show. Due to some . . . technical difficulties and circumstances beyond our control, we didn’t actually have a room number assigned until the day of. We tried to get the word out to other World Tea Expo participants on where we were located. But even with that last ditch effort, attendance was still modest at best. Luckily, we had an audience of at least a hundred online participants via Periscope, thanks to Nicole “Tea For Me Please” Martin’s trusty fiancé/social media Sherpa, Jason. The primary subject we discussed was “bad tea reviews”. Most of us who reviewed tea had a policy—either written or unwritten—regarding teas we didn’t like. Some had theirs publicly displayed on their page. Others (like me) kept it to ourselves, unless we had no other choice—of which I had to provide examples on the panel. 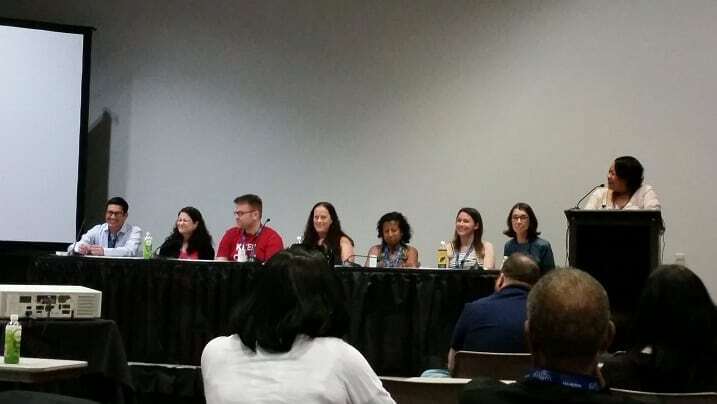 In the end, I’d say this was actually our most focused (and most well-behaved, despite my best efforts) panel, yet. To celebrate its completion, Darlene Meyers-Perry (our lovely moderator) brought in a haul of tea-flavored snackies. 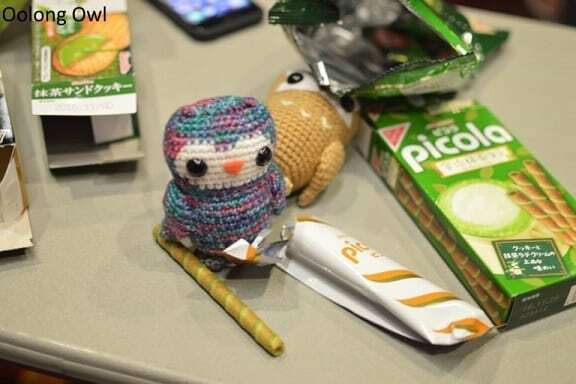 Image mooched (with permission) from Oolong Owl. Obviously. Oh yeah . . . I had my fill of green tea Kit-Kats. 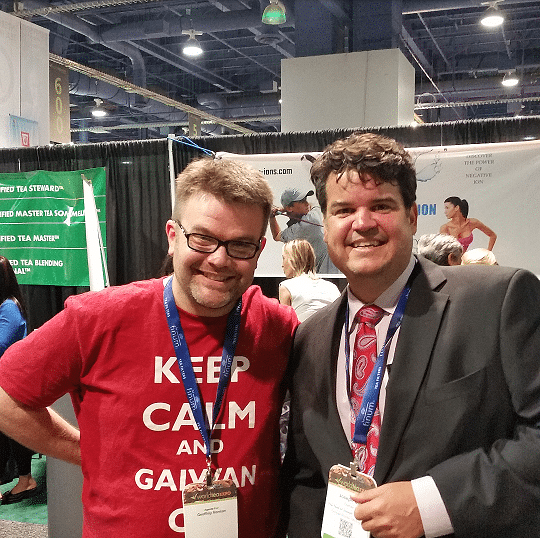 Before and after our li’l well-mannered tea blogger trapeze act, I hit the Expo floor. If it weren’t for the photos I took, I wouldn’t have had a proper outline for the frenzy. In fact, I’m just going to use said photos to properly illustrate what happened next. There is no other way . . . The first order of business was to touch bases with tea vendors I knew. Quite a few had booths this year—some I knew of, some I didn’t. One of the surprises was Lou Thomann from Asi Tea. I had no clue he was going to be at Expo this year, but it was good to reconnect with him. He even passed along a couple of his Yaupon RTDs for future fueling. Total Georgian hospitality. Next on the list was the Young Mountain Tea booth. 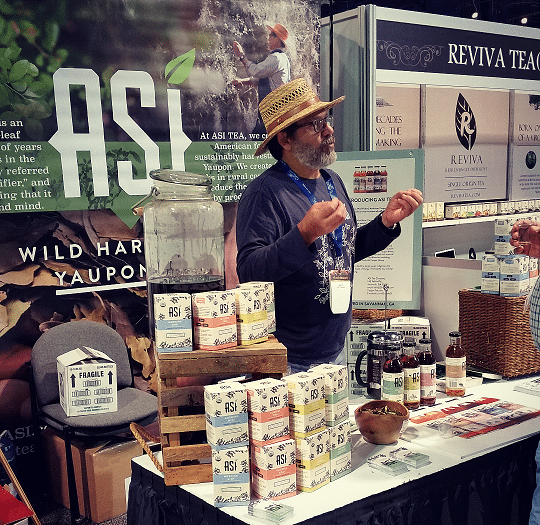 My fellow Oregonian tea buddy, Raj Vables, mentioned in passing that he would be at Expo this year. I just about peed myself with excitement; mainly because I wanted an update on all of their Kumaon, India efforts. 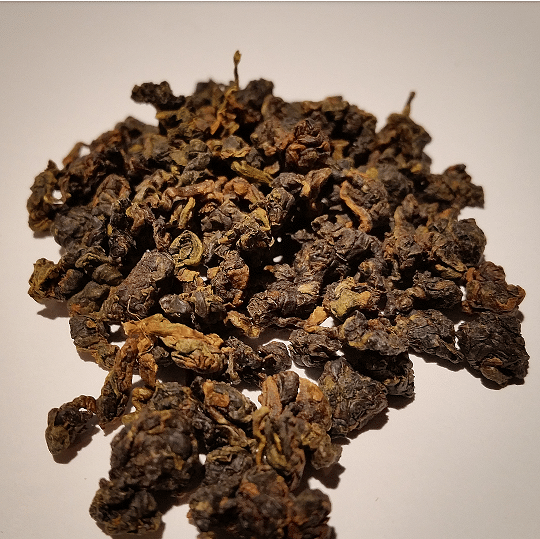 For tasting, they had several new teas on their roster, including a 2016 version of their Kumaon white, which came out sweeter this year over last. I would’ve lingered longer, but I had more to booths to hit. 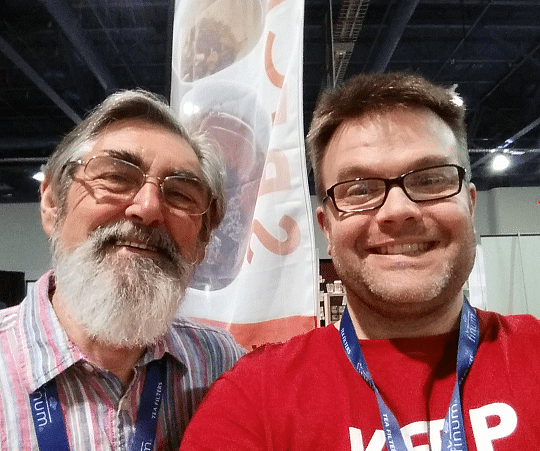 Another long time online tea friend had a booth this year as well—Joe Uhl of Joseph Wesley Tea. Their booth was about as slick and modern a setup as one would expect from the Detroit-based company. When I went there, I think they were brewing up some Mao Feng . . . but I can’t remember. I was a regular at that booth throughout the duration of WTE. If there was an award for “Nicest Newcomers Ever”, it would go to these two. Southmatea, a company based Argentina and specializing in Argentinian grown yerba mate and green tea, plus blends made from both. I tried one of the blends at their booth, and it was exquisite. Seriously, nicest couple ever. And of course, I had to get my mandatory Rajiv Lochan fix. Not much more to say there. He’s still one my most favorite tea people ever. Of course, you—regular readers—probably already knew that by the eleventy times I’ve written about him over the years. 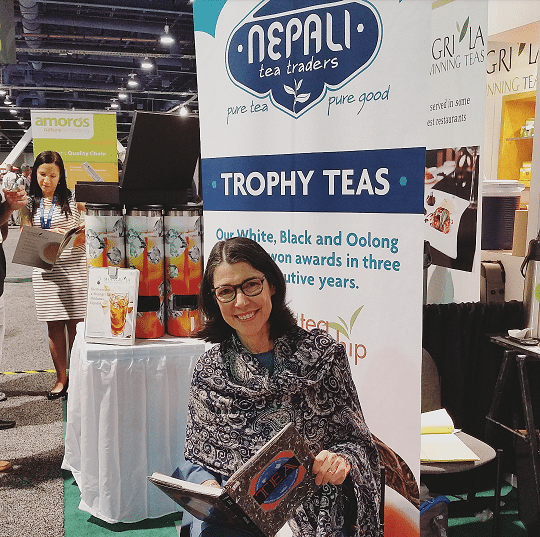 Following that, I made my way to the Nepali Tea Traders booth where fellow blogger Linda “The Tea Stylist” Gaylard was doing book signings. Luckily, I had my copy of The Tea Book handy to receive her “John Hancock”. I lingered for a little bit, but not too long. 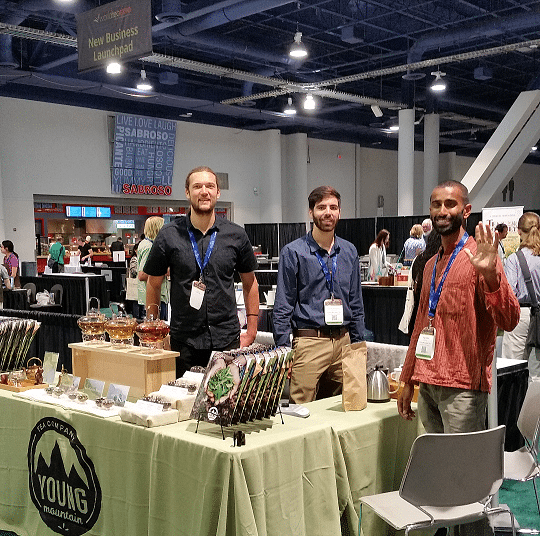 Of course, what would a Las Vegas World Tea Expo be if I didn’t touch bases with the man I’ve literally dubbed my “tea-bro”. 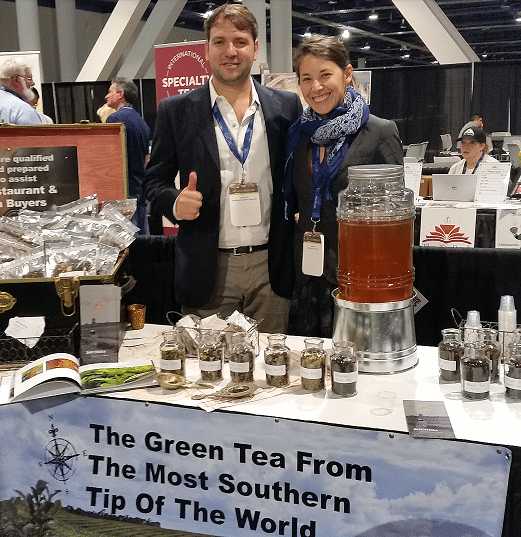 Greg Glancy of Norbu Tea Company was assisting Sylvia Wang at the Tsou-Vayiyana Alishan Tea booth this year. Thus far, I’ve written about his products a total of . . . I forget how many times. And the Tsou stuff accounted for at least a third of those write-ups. Ali Shan is my favorite tea mountain in Taiwan, and the Tsou stuff remains my favorite offerings from there—particularly their red oolong. On my first (of many) drops by their booth, they were sharing this year’s Taiwanese heicha. It just . . . yum. So much yum. It was Nigel Melican of Teacraft. Right behind me. This was the first year where he identified me out of a crowd. But then again, I was wearing a bright, “British Blitzkrieg Red” shirt—kinda hard to miss. 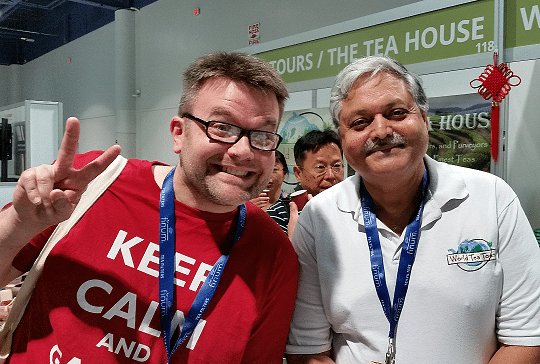 As anyone would, I picked his brain for fifteen minutes about tea tree cultivars and UK tea growing efforts. Until he had to continue on to more pressing matters, that is. My biggest accomplishment was convincing him to take a selfie with me. Nicest, most knowledgeable tea consultant ever. 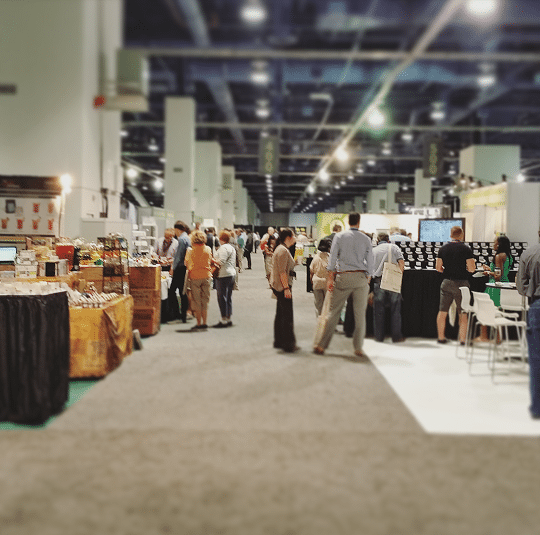 Once the World Tea Expo vendor floor closed, it was time for all of us attendees to herd into the conference hall for the annual World Tea Awards. 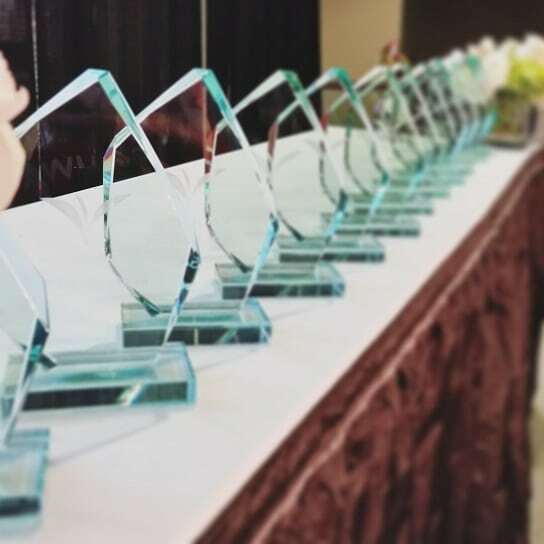 A few from our li’l camp were up for awards this year, and we had our fingers crossed. Unfortunately . . . le sigh . . . none of us got a piece of the pie. Not even for Best Social Outreach for the Tea Bloggers Roundtable as a whole. More motivation to pick up our game next year, I suppose. After the awards, I waited for my ride to the next stop that night—a tea and Chinese food pairing. I sat out in the hallway, minding my own business, scrolling through my various social media feeds like a zoned-out hermit. Rachel “I Heart Teas” Carter came out and stood in front of me. “What are you doing?” she asked, arms akimbo. 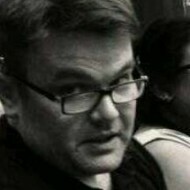 “Uh . . . sitting?” I said. I did so, and I’m glad I did. For if I hadn’t, I wouldn’t have connected with Team Zhen Tea. (Phil Rushworth and Zhen Lu, respectively.) Folks I’d associated with on Twitter for years, and met for the first time that afternoon. Rachel and I with Phil Rushworth. Photo taken by . . . Kevin Gascoyne? I think? In closing: I still don’t have a good word to describe how I felt this first day. The whole thing felt the same, yet grander somehow. Oh wait! I’ve got it. Connected! Yep, that’s the word. I had more connections this year than years prior. More acquaintances, more friends, more extended family. It was as if the year-long hiatus between Expos hadn’t passed at all. Tea is about the people you meet along the way; I think I’ve said that in prior articles. Yeah . . . I’ll drink to that. Jo sounds awesome! She is full of knowledge and direction, I am sure. How fun to be able to connect with folks. You know that is what I am about so maybe some of that rubbed off on you!! Interesting experiences and I am sure you have more to write about! Keep it coming! Oh, plenty. Still just getting started on this series. Beautifully written post, your blog is such a literary treasure for tea folks. Nice post! Yes, it is the connections at the World Tea Expo with like minded tea lovers that is so very special. Great post and I swear I won’t ask who is who and such. Perhaps one day, I will appear there like Gandalf (all in white). You already know most of ’em. Great report Geoff! We had a chance to meet Jo this year as well, albeit briefly. We are already pumped for next year! I’m still writing about it, so it’s like it never ended at all. I’m going to my first World Tea Expo this year (hoping to open a store in the near future)…I enjoyed your experience and hope it gives me an idea of what to expect.